Now you may be thinking, how does this story fit in with Hyper Convergence, or EVO:Rail? 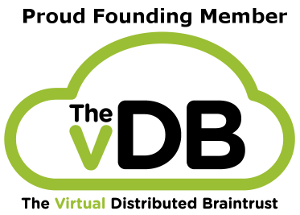 If we look at the EVO:Rail platform, at its core, its a simple hardware effort that any OEM/ODM could create and deliver to their customers, yet on its own, without the VMware Software integration it has almost zero value. Up until the Hype Converged market was created, there is very little demand for a 2U 4Node server with internal storage in the general IT world, at least there wasn’t until Nutanix came to market with their initial design. And while that platform today takes several different shapes and sizes, the base unit that is sold is the 2U 4Node configuration. So today what do we have, HP, Dell, Super Micro, Hitachi, EMC, and a host of other box pushers rushing out the door with their own Hyper Converged EVO:Rail systems, none of them so far setting the world on fire, none of them so far, actually providing any value above and beyond the base template that EVO:Rail provides. 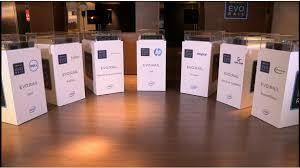 Yet only one of those players is adopting the Tom Sawyer strategy, and that would be EMC. In concept, EMC isn’t actually building their VSPEX:Blue system in the same manner as they would a VNX, it’s a template/reference architecture for Hyper Converged and as such they actually don’t craft and ship you a box themselves. The systems are actually sold and driven through their large partner organization, who places the order and then receives the units from manufacturing (Foxconn/Intel). This is different than their bread and butter storage business. In this respect, EMC doesn’t have to carry the inventory, the insurance of goods, the risk associated with building too many or too few units, the shipping or crafting of the final product, etc. The turn around time on these systems is short enough that they may not even have to pre-seed a warehouse with first sale units if they don’t have to. Yet in turn, they capture a huge margin on the sale of each unit by selling the software package that goes along with each one, as well as follow on business if customers decide to expand the licensing that comes with each system (15 units of recover point is just a taste). VMware gets their cut for the base EVO:Rail licensing, and EMC gets their cut for the value add portion that is afforded with each unit. 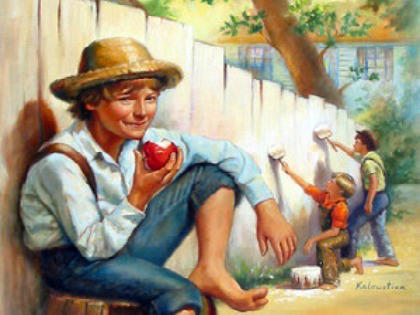 In that respect, much like Tom Sawyer convinced the boys in the neighborhood to white wash the fence in exchange for their personal treasures, EMC is convincing their partner ecosystem to do go forth and sell their Hyper Converged system while reaping the lions share of the treasure, and VMware is doing the same when it comes to EVO:Rail because in reality the platform is a simple vehicle to sell advanced VMware licenses. This strategy removes much of the risk in taking on a new market space, yet provides the lions share of the reward by packaging and selling existing software products as part of the solution. All this plays out in opposition to the other Hyper Converged vendors who still have to carry the bulk of the risk laid out above, as well as pay a sales force to push it, In turn, the Tom Sawyer approach will yield much higher returns on investment and allows EMC to focus nearly 100% on the much higher margin Rack Scale converged offerings that VCE is providing. Bottom line, they can tackle the Hyper Converged market without doing much work, and still make higher profit margins doing so compared to their competitors. Fun Fact: the impetus for this post came from a dream I had that woke me up at 4:30AM today where Joe Tucci came to a house party. I don’t know why that triggered the above thoughts, or why I’m dreaming about Joe Tucci, but hey it prompted a flood of thought that I had to push out of my brain. So if you find yourself waking up from strange dreams and compelled to write about them, go for it.